A very common condition, foot fungus can cause itching, redness, and irritation. 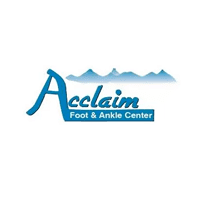 To end this stubborn problem and find relief today, visit Dr. David F. Corcoran, DPM, at Acclaim Foot & Ankle Center. As an experienced podiatrist, Dr. Corcoran sees patients in Phoenix and Scottsdale, Arizona, who have a variety of foot and ankle problems. Have your symptoms assessed and start a customized treatment plan by calling or scheduling an appointment online today. Foot or toenail fungus is very common and can develop due to a variety of factors. Many people catch fungal infections from public places, like locker rooms, pools, gyms, or yoga studios. Fungus thrives in a moist environment, which makes it easy for it to spread in between sweaty toes or on the bottoms of the feet. In many cases, the body is able to fight off the fungus, but sometimes fungal infections are stubborn, or your immune system is not strong enough to kill the fungus. This can cause fungus to spread and take root in the toenails or on the feet. Fungal problems of the feet are common in people who have diabetes or other conditions that affect foot health or immune health. What are the symptoms of fungus? Different types of fungal infections may produce different symptoms. You might think a fungus is gone when your symptoms clear up, but it’s not uncommon for symptoms to return rapidly or to deal with ongoing fungal infections for years. Dr. Corcoran uses the PinPointe™ laser by NuvoLase for fungus problems. This type of treatment is especially helpful for patients who have stubborn toenail fungus. It can treat discolored, cracked, or extremely diseased toenails, giving you healthy feet once again. In other cases, fungus on the feet may need a variety of treatment methods, including antifungal oral medication or creams. The best results from fungus treatment occur when you’re able to implement extremely good hygiene habits to keep fungus from returning. This may include changing your socks many times during the day, wearing breathable shoes, washing your feet often, or applying moisture-absorbing products on your feet. You might need multiple treatments to help eradicate fungus permanently. However, combined with good foot care habits, you can eliminate this problem and stop the itching, redness, and irritation for good. To schedule a consultation with Dr. Corcoran, call the office or book an appointment online today.